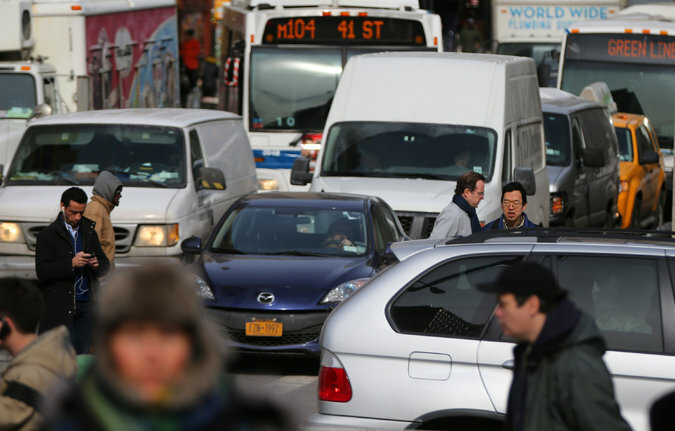 To reduce the number of deaths and personal injuries related to traffic accidents, Bill de Blasio recently launched “Vison Zero” in New York City. In a first step the mayor created inter-agency working groups with members from the Police Department, the Department Of Transportation, the Health Department and the Taxi and Limousine Commission. These working groups had until last February 15th to come up with proposals to improve street safety (see our previous blog). In the meantime, the death of 3 pedestrians in less than 10 days on the Upper West Side prompted the police to take immediate measures to prevent further traffic accidents. Tickets have been issued against drivers and in large numbers against jaywalkers. 215 Jaywalking tickets have been issued from the beginning of the year through February 9th compared to 27 last year.